LearnVest’s mission is to help users with financial planning in an affordable and accessible way. Financial planning can be overwhelming and the company wants to show that anyone can start planning for their future, not just a limited few. The robo-advisor helps users budget and save with convenience and ease. For a cost, it also offers support from a financial planner. This is an affordable alternative to traditional financial advisor firms. You're paired with a dedicated financial advisor who is meant to work in your best interests and help you with your financial planning needs. With this guidance, along with other tools, you get a better hold of your financial future. Pricing: How Much Does LearnVest Cost? LearnVest offers several financial planning tools at no charge. By connecting your account, it helps you create a budget and track your transactions. It also has a free financial check-up service, which determines your financial standing. There’s also a manual option, where you don’t have to connect your accounts to access the tools. However, you’ll have to manually plug in the information and it may not be as accurate. If you want access to a financial advisor, then it comes at a price. The LearnVest Premium account has a one-time set-up fee of $299, plus $19 per month for on-going support. Though this is more expensive than many robo-advisors, it’s still less expensive than making a financial plan with a traditional advisor. While its competitors often take an investing focus, LearnVest looks at financial planning as a whole. It makes financial planning a hands-on experience by giving you the advice and tools needed to manage your finances. With access to a certified financial advisor, you’re set up with all the information needed for successful financial planning. The company values personalized advice catered to your specific situation. Because you work with the same advisor each time, you’re able to build a relationship and have someone who understands your situation and goals. You speak to them over the phone or email, which is more convenient than having to meet in person. They’re also available to you 24/7 over email. Your financial planner creates an action plan to help you reach your financial goals. She will look at your situation and curate a personalized plan that fits into it. This action plan is a thorough look into your finance and details the specific steps to take to be prepared for the future. This helps you understand where you’re starting from and where you’re going. The thing that sets this robo-advisor apart is the freedom it gives you. Your financial advisor makes a financial plan, which breaks down your goals and outlines the steps to reach them. But it’s up to you to follow through on these steps. LearnVest won’t hold any of your finances and save for you, so it’s your responsibility to stay on track. This gives you a key role in your financial future. As you follow the plan, the company tracks your progress. If there are any challenges along the way, the financial planner can help you. He can give you tips that help you reach your short-term goals or change the plan if something unexpected happens. With this personalized financial planning experience, you’re able to get a comprehensive look at your financial situation. With goals and strategies outlined, you can take better control your finances. With LearnVest’s detailed action plan, it’s best for those who want a hands-on role in their financial future. The action plan provides an overview of your financial situation and the steps needed to achieve your goals. It gives you an oversight of what to do, without doing those things for you. This involved role fits some people, but not all. If you have a budget-focused approach to finances, this robo-advisor may also be a good fit for you. It doesn’t offer specific investing advice, since investing is more unpredictable. But it does have thorough budgeting advice and tools. The robo-advisor is only available for U.S.-based customers. You must be planning to retire in the U.S. to use it. Accounts outside of the country are incompatible with the service. In addition, if you’re bankrupt, in collections or have no household income, it won’t be effective either. LearnVest is accessible online and through a mobile app, though only on iOS. When you download the app, the transaction tracker is available. You can link multiple accounts to LearnVest to get an overview of your financial situation. If you decide to join LearnVest Premium, you start by giving information about your financial standing and goals. You’re connected to a certified financial planner, who curates a personalized action plan based on your background information. You work with the same advisor every time and she guides you throughout your time. She can be reached over the phone or email. This action plan is broken down into four elements: snapshot, goals, protect and action steps. These clear labels make it easy for those with no financial background to understand their finances. The “snapshot” section is an overall look at your current finances. It calculates your expenses, assets, liabilities and net worth. With this information, it suggests a weekly spending maximum and saving minimum. These suggestions set guidelines and bring you closer to reaching you goals. The “goals” section is a thorough breakdown of your financial goals. It lists how much you should contribute towards each goal and estimate when it’ll be completed. It includes personal goals set by you, like buying a house, along with goals that LearnVest thinks are essential, like having an emergency fund. This timeline is set across a five-year period, indicating when milestones should be reached. The “protect” section outlines your insurance and estate planning needs. It gives overall recommendations of different insurance plans to buy, such as auto and disability insurance. This helps protect you and your family in the case of an emergency, as well as help you plan for the long term. Your planner gives important reasons for coverage and suggested ways to cover the costs. The same going for estate planning documents, indicating when it’s time to get a will or trust. The “action steps” section details the next steps to take. It indicates the most useful steps to take to bring you closer to your goals. This includes setting up a budget or buying an insurance plan. Your financial planner helps you execute these steps. He offers tools to keep you on track, like goal calendars and a progress tracker. He can also recommend outside services that may be helpful. You'll get ongoing support in your financial journey, with an extensive amount of free learning material to get you acquainted with the field. You’re building successful financial habits, while figuring out what works best with your situation. This robo-advisor provides all the tools and you put the plan in action. Though its services are cheaper than traditional firms, this robo-advisor is more expensive than many robo-advisors. In addition, it’s up to you to take the steps outlined in your financial plan. The company doesn’t sell or select securities or regularly put aside a certain amount of money each month. Meanwhile, other services, like Betterment or Qapital, automatically invest or save for you. In addition, though LearnVest offers a comprehensive overview of your financial situation, it focuses on budgeting. To help lower debt or prepare for emergencies, it suggests budgeting and saving tips. But they don’t offer specific investing advice. Other services give both saving and investing advice so returns can be made on your savings. And though anyone can use LearnVest’s free tools, LearnVest Premium is more expensive and exclusive. It is only available to those with predominantly U.S.-based accounts. You must also plan to retire in the U.S., as well. This limits those who can use the service. LearnVest sets itself apart from robo-advisors by analyzing your overall financial situation to curate an action plan that helps you achieve your goals. With the help of a financial planner, you’re taught how to take control of your finances. But this unique service comes at a heftier price. Its premium service has a base fee of $299 to set up, plus $19 per month. LearnVest primarily offers comprehensive budgeting advice, so this doesn’t include any investing advice. It’s a high price to pay when compared to its competitors. Mint rivals LearnVest in the budget management department. Mint is free and available online and on all mobile devices. All of your account information is kept in this one app, making it easy to look at all your finances. The service analyzes your spending patterns and history to create a budget. This budget is broken down into categories and indicates how much should be spent in each. 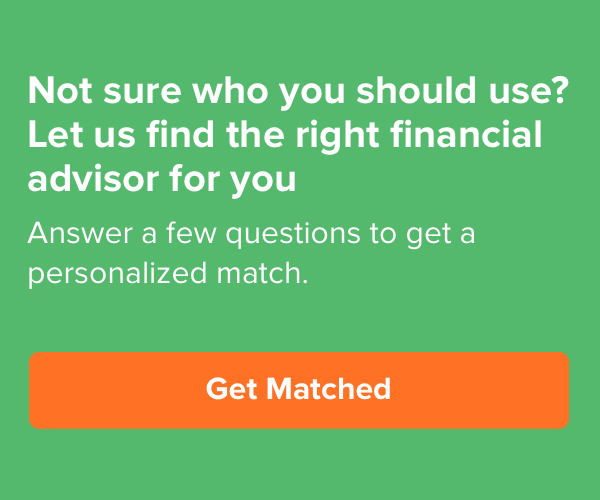 Like LearnVest, Mint doesn’t offer investing advice. But it does provide a snapshot of your investment performance. It also calculates your credit score and home value. These additional features are free of charge. The biggest difference between the two is that Mint is entirely digital. LearnVest’s advice is given by a financial planner, ensuring that it fits your specific situation, rather than relying on a computer. You Need a Budget (YNAB) is a similar budgeting app. Like the other two services, there is no investment focus. It’s available online and on mobile devices at the cost of $5 per month or $50 per year. It also offers the first 34 days for free, enough time for you to get an overview of your budget for that month. You’re able to connect your accounts, use budgeting and debt help tools and track your progress. At a lower price than LearnVest, YNAB gives it some competition. But there’s no general financial overview or personalized experience with YNAB. When compared to other services, LearnVest is one of the more expensive services out there. But it is still cheaper than traditional financial advisors. You’re also paying for a different service experience – communication with an actual financial planner – rather than relying on technology and written guides. This unique experience comes at a higher price, but can be worth it if you prefer more of a general overview and personal touch. Bottom Line: Should You Use LearnVest? LearnVest provides the some of the services of a traditional advisory firm but online and at a more affordable price. It gives a comprehensive overview of your financial situation, outlining steps to help achieve your financial goals. With a dedicated financial planner, you’re given undivided attention and help that works with you. Along with free tools, there are many other perks. The company is spreading financial literacy through action. But with a higher price, hands-on approach and no specific investing advice, it isn’t for everyone. To get the most out of this robo-advisor, it’s up to you to execute your financial plan with the tools and education it gives you.